GRAVITY is part of the VLT Interferometer. By combining light from the four telescopes it can achieve the same spatial resolution and precision in measuring positions as a telescope of up to 130 metres in diameter. 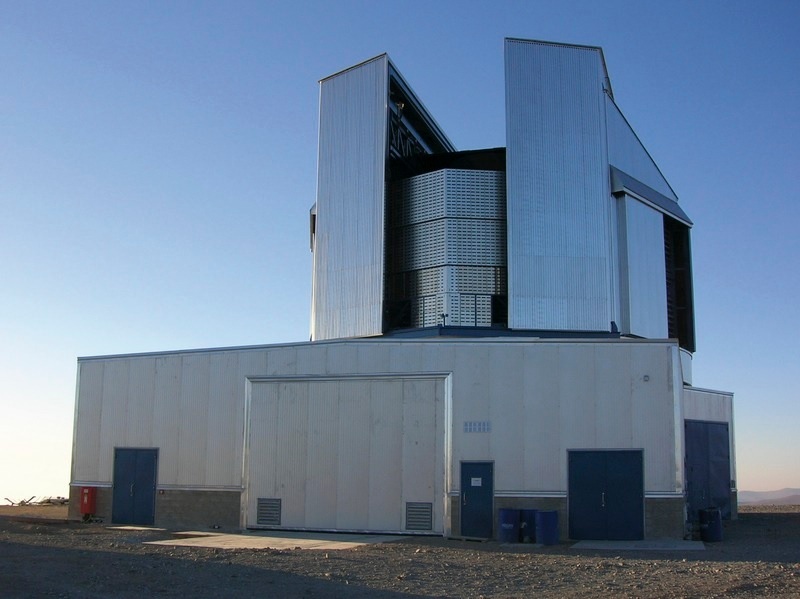 The corresponding gains in resolving power and positional accuracy — a factor of 15 over the individual 8.2-metre VLT Unit Telescopes — will enable GRAVITY to make amazingly accurate measurements of astronomical objects. One of GRAVITY’s primary goals is to make detailed observations of the surroundings of the 4 million solar mass black hole at the very centre of the Milky Way . Although the position and mass of the black hole have been known since 2002, by making precision measurements of the motions of stars orbiting it, GRAVITY will allow astronomers to probe the gravitational field around the black hole in unprecedented detail, providing a unique test of Einstein’s general theory of relativity. “It was a fantastic moment for the whole team when the light from the star interfered for the first time — after eight years of hard work,” says GRAVITY’s lead scientist Frank Eisenhauer from the Max Planck Institute for Extraterrestrial Physics in Garching, Germany. “First we actively stabilised the interference on a bright nearby star, and then only a few minutes later we could really see the interference from the faint star — to a lot of high-fives.” At first glance neither the reference star nor the orbiting star have massive companions that would complicate the observations and analysis. “They are ideal probes,” explains Eisenhauer. The team will, for the first time, be able to measure two relativistic effects for a star orbiting a massive black hole — the gravitational redshift and the precession of the pericentre. The redshift arises because light from the star has to move against the strong gravitational field of the massive black hole in order to escape into the Universe. As it does so it loses energy, which manifests as a redshift of the light. The second effect applies to the star’s orbit and leads to a deviation from a perfect ellipse. The orientation of the ellipse rotates by around half a degree in the orbital plane when the star passes close to the black hole. The same effect has been observed for Mercury’s orbit around the Sun, where it is about 6500 times weaker per orbit than in the extreme vicinity of the black hole. But the larger distance makes it much harder to observe in the Galactic Centre than in the Solar System.